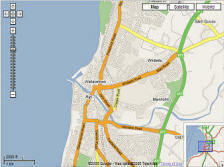 Google recently expanded its mapping services to include the UK. 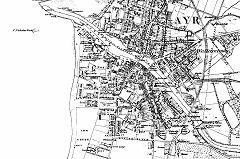 In addition to street maps and directions the new service offers detailed satellite views of cities and towns including Ayr. 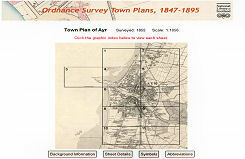 Shown below are three views of Ayr using the selections in the top right corner of the map windows. 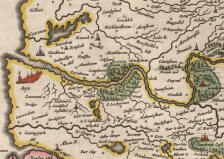 All three views allow zooming in and out of the map using the controls provided in the top left side of the map window. Map view is simply a street map. Satellite view is an aerial image and Hybrid combines both views. 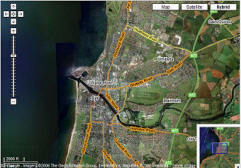 Give it a try at Ayr on Google Maps UK . 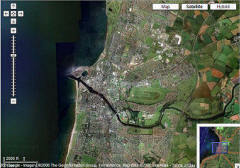 For a full screen view go to http://maps.google.co.uk/maps and enter Ayr in the search box.